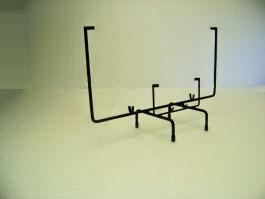 Get your creative juices flowing with this new two dimensional stand. This double square stand creates a dimensional effect for your glass. 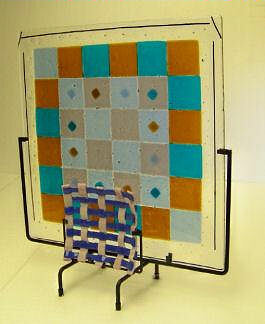 Place a smaller piece of glass in the 5.25" square stand that is approximately 1" in front of the 15" square.